More than two decades ago, as a teenager (I’m dating myself, I know), I learned to use 3DStudio 4 for school projects. It was the best 3D modeler at the time. I mostly made space simulations with it and added after-effects in a 2D animation program frame by frame (I had a lot of spare time back then). Since then I’ve longed for a program with a similar GUI, but free. I first used Anim8r about 15 years ago, because it was free and lightweight. I liked the program, but it lacked in features compared to 3D Studio , even the old version 4. Recently I started looking for a program to render and animate 3D models in order to better convey ideas to customers. I tried Blender , which no doubt is the best free 3D modeler out there, but I simply don’t have the time to learn the GUI and all the new concepts. So I ended up back to Anim8r, downloaded it again ( a very small download) , and was pleased that the GUI was now reminiscent of 3D Studio 4. It has all the features I might ever need, including bones, and can import STL files, which I generate with several tools I wrote. 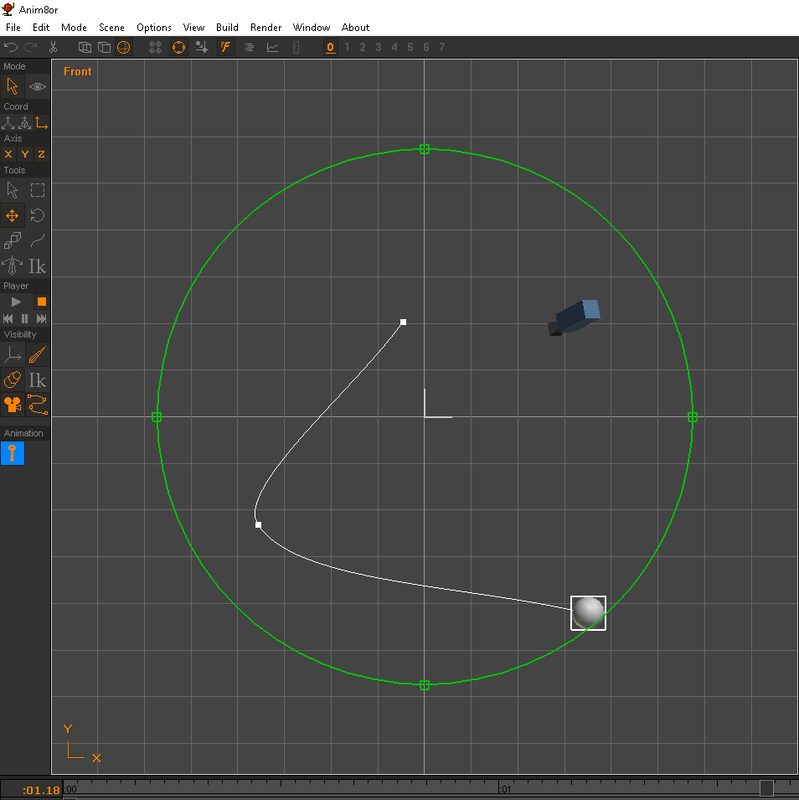 Animating an object is as easy as putting it in the default scene, clicking the little key button, moving the time slider and then moving the object for each key frame. The path is generated automatically. I really don’t need more for now! So, for anyone who wants to make some 3D animations quickly, give Anim8r a try!